PSD is Photoshop's native file format, sometimes it's called PDD. PSD or PDD is a widely accepted file format. PSD supports all available image modes (Bitmap, Grayscale, Duotone, Indexed Color, RGB, CMYK, Lab, and Multichannel). The PSD format is extremely useful as it can support duotones, clipping paths and channels. Moreover, PSD offers a unique feature - it supports layers while every other format must be flattened on export. Any program that supports PSDs directly can then leverage this layer information. Saving as layered images is quite handy as it allows to edit different parts of an image at a later date far easier. Photoshop can convert PSD files to other fromat one by one. 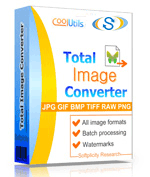 If you want to convert PSD to TIFF, JPEG, PNG, BMP in batch use the most powerful Total Image Converter.